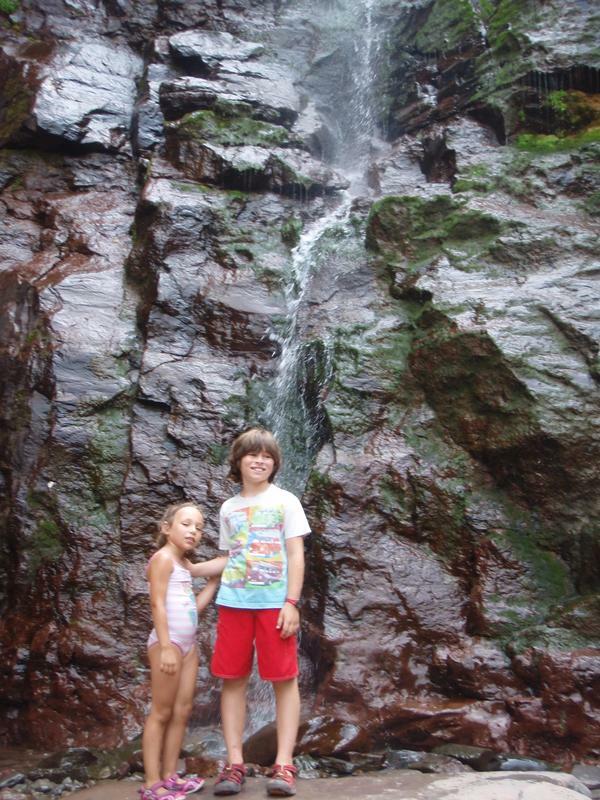 The one destination that seemed to stick in our kids’ minds long after our odyssey in the Catskills last summer was Kaaterskill Falls. We followed the hike to the falls with a visit to another memorable destination, the view from what was once the location of the most famous hotel in the United States, the Catskill Mountain House. We were so wowed by the Catskills last year that we decided to show it off to the children’s grandparents, Nana Beth and Opi-Din Lambert, this year. Fortunately the sites are only about a 15-minute drive from each other, making the possibility of visiting both in one day more than feasible. Even better, the starting point for the short hike to the latter is North-South Lake, a blue jewel with a beach sized perfect for kids. We’ll cover Kaaterskill this week and tell you more about the Catskill Mountain House and North-South Lake in next week’s post. We began with Kaaterskill since it’s the point you arrive at first heading west on 23A from Saugerties or Woodstock—two nearby towns offering plenty of accommodations ranging from campgrounds to B&Bs. As New Yorkers we tend to regard driving as a necessary evil to get to places not accessible by public transportation. 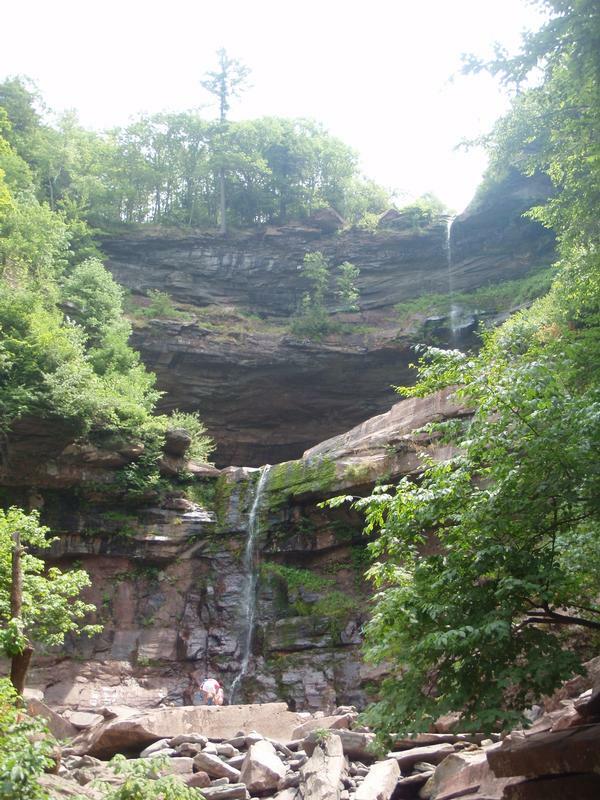 That said, the trip up the windy mountain road to Kaaterskill Falls offers fantastic mountain views including, at one point, the evidence of a landslide that probably occurred as a result of Hurricane Irene. The trailhead is located behind a guardrail at the widest point of the curve in a steep hairpin turn, and the parking lot is about 50 yards farther up the road. The best way to manage this—particularly with kids—is for the driver to drop everyone else off at the trailhead, then park the car and meet everyone back down at the trail. 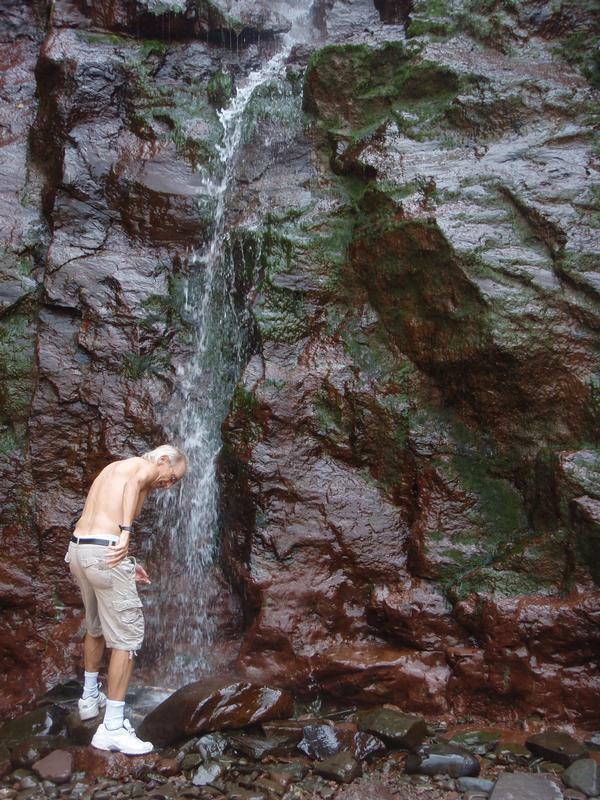 As you begin the half-mile hike up to the falls you will notice the trail is rocky and steep. For this reason, Nana Beth opted to stay at the base, her iPad loaded with books. The first several yards are as tough as it gets, and after a brief ascent, the trail levels off considerably. Travel upward is facilitated by staircases, composed of lumber and rocks, that are maintained by the New York State Department of Environmental Conservation. Construction of the staircases was still underway when we hiked the trail last summer and it has turned out beautifully. Stones and tree roots also cover the ground a large part of the way, but that’s mostly on the level parts. It’s also worth noting that for the second year in a row we saw hikers carrying babies on their backs. When you arrive at the falls you will feel grateful that such an amazing site can be reached so easily. In the early 19th century, Kaaterskill Falls was the most popular tourist destination in the United States. Granted this was before the settling of the West and the founding of the National Park Service under Teddy Roosevelt. But you won’t be left wondering why Kaaterskill continues to command a wide audience. The falls drop down into a rocky pool and we recommend climbing up the rocks to the next level of ascent, where the water pours down like a heavy shower. 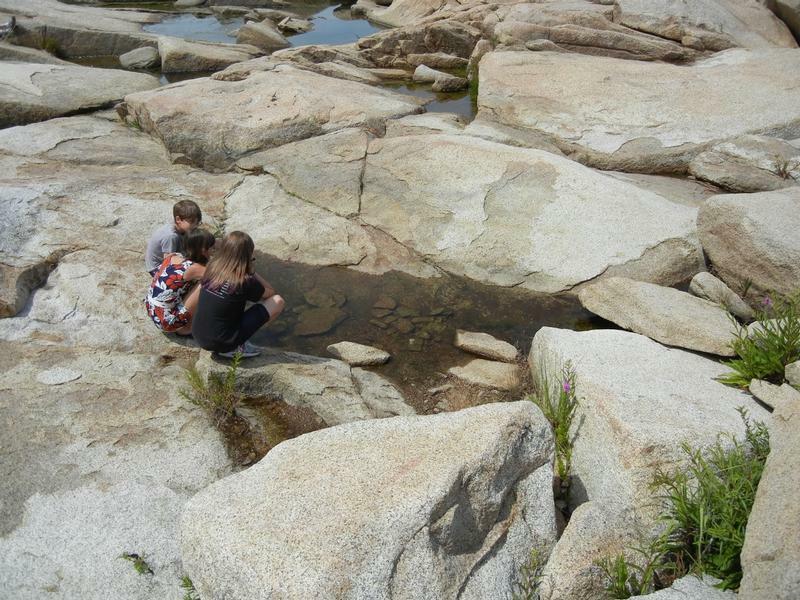 It’s easy enough for kids age 5 and above and well worth the extra effort. Opi-Din made the full journey with us and was as awe-struck by the falls as we were the first time, and the second. Route 23A West is located right off Interstate 87, the New York State Thruway. 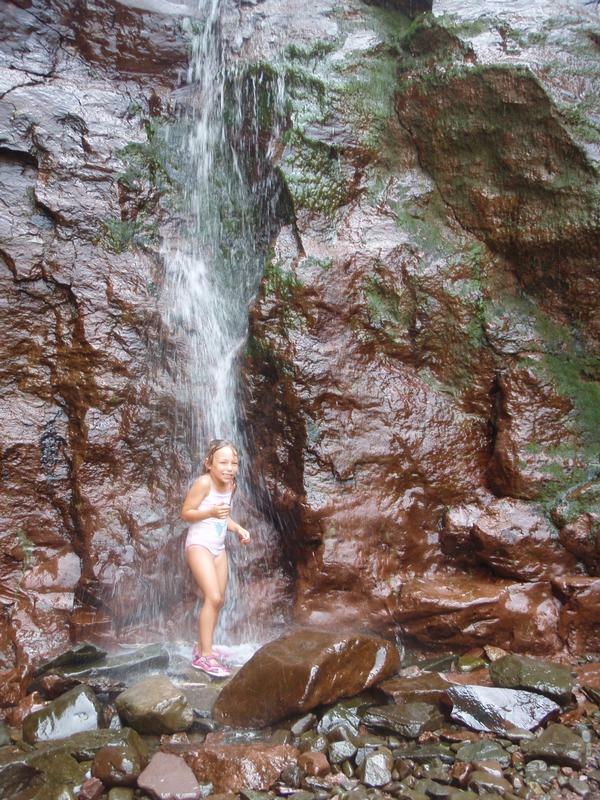 Kaaterskill Falls makes an easy day trip from New York City, however we recommend you combine it with a trip to North-South Lake. 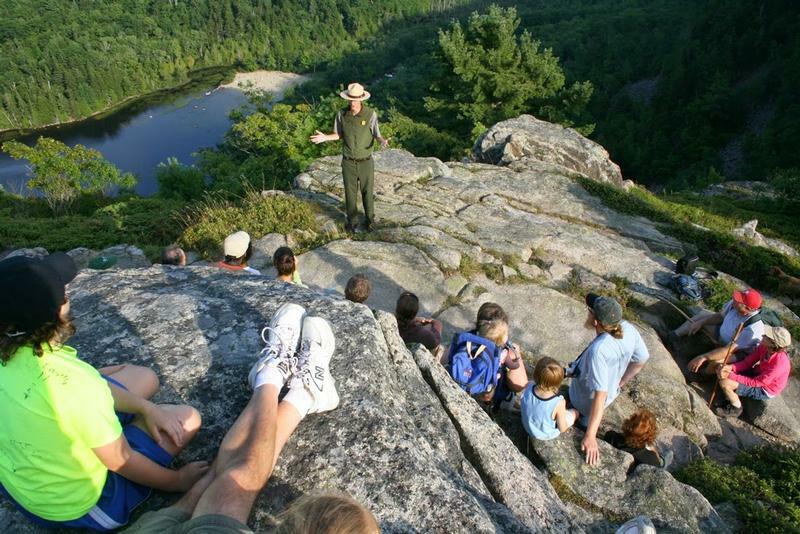 If you do this, we recommend staying overnight (see Overlook Mountain post for suggestions).